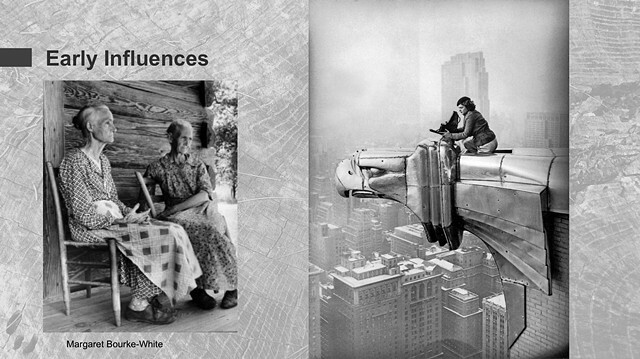 Margaret Bourke-White was an American photographer who documented images that revealed the many different ways people lived and died. Her images are captivating and gave insight into different cultures and perspectives. My parents had a book of her work on the dining room selves when I was young and I would frequently pull this book down to study it. Of course her images are incredibly revealing, but I was also amazed at how Margaret was so brave and went to places of great danger to capture the perfect image. Like Georgia O'Keeffe, she was daring in how she lived her life and this was inspirational for me as I chose my career path.